What we now know as Oriental was first settled about 1870 by Louis B. Midyette. He took shelter in the area's natural harbor on the Neuse River and the mouth of Smith Creek when he was blown off course on his way to New Bern. First known as Smith's Creek. It was later renamed for the Federal transport, Oriental, which sank on May 8, 1862, south of Oregon Inlet near Bodie Island. Rebecca Midyette, wife of Louis Midyette, found the nameplate one day on the beach. Obviously the residents liked the name. For years the town was a center of commercial fishing, and the big trawlers still unload their catches here. 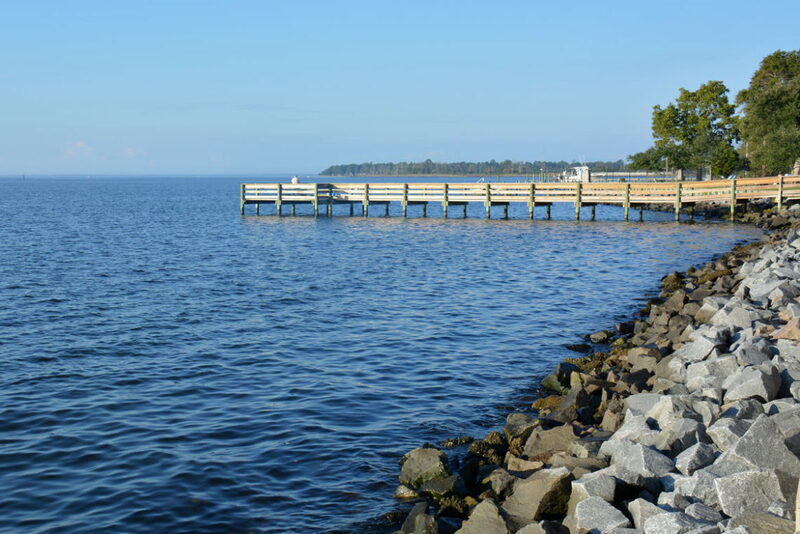 In the early part of the century, the town boomed when loggers used the docks to ship the timber they harvested from the peninsula between the Neuse and Pamlico rivers. This boom brought railways, hotels, and dance halls. Now, as in the past, there are boats. But today, there is a mixture of commercial trawlers and sleek yachts that is the hallmark of Oriental.